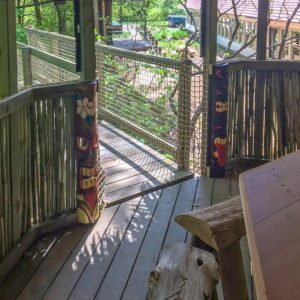 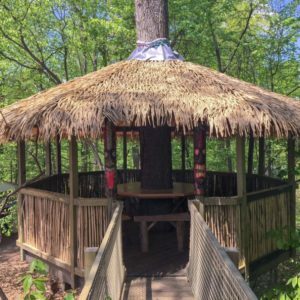 The Tiki Treehouse was built over the Winter of 2018. 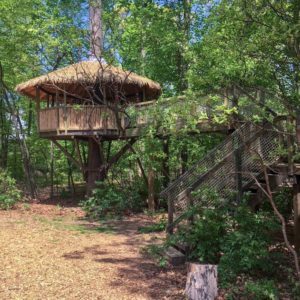 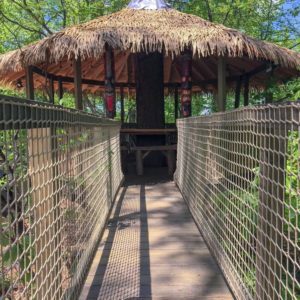 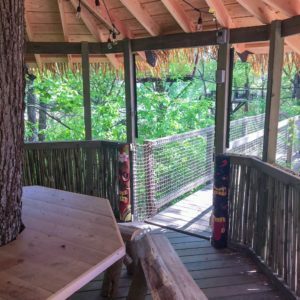 The treehouse was constructed in the shape of an octagon with a bridge that traverses over a walking trail. 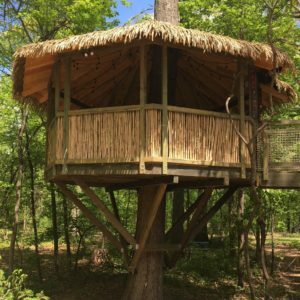 Authentic Bamboo sticks line the lower portion of the treehouse with synthetic thatch covering the roof. 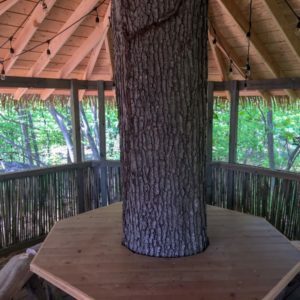 The interior is complete with a permanent octagonal table surrounding the tree and eight custom made wooden benches.